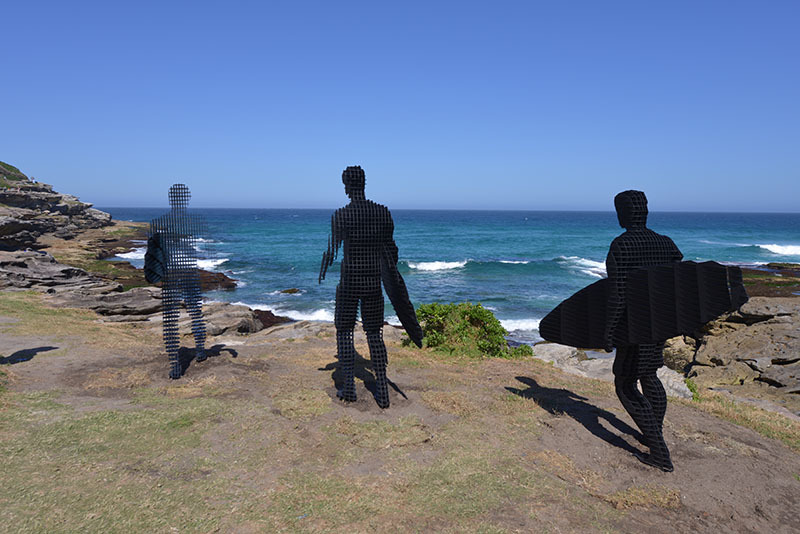 April Pine, ‘Trip I, Trip II, Trip III’, Sculpture by the Sea, Bondi, 2017. Photo Clyde Yee. 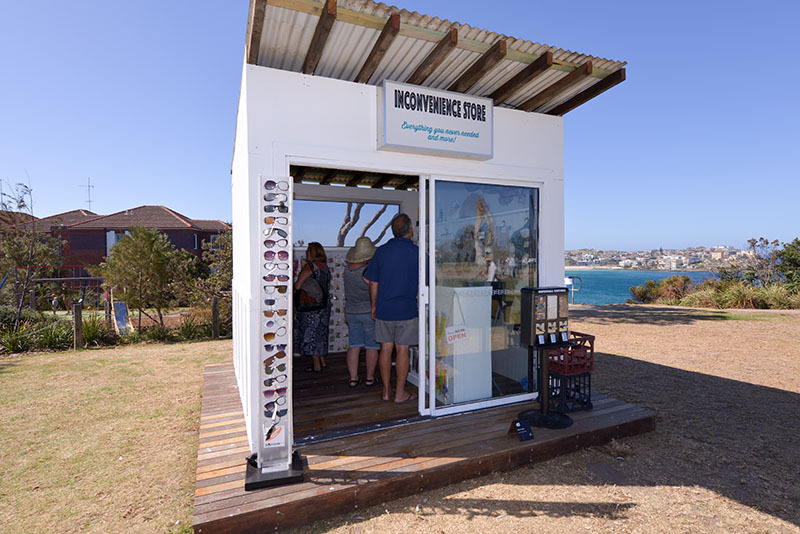 Marina Debris, ‘Inconvenience Store’, Sculpture by the Sea, Bondi 2017. Photo Clyde Yee. Congratulations to the joint recipients of the $5000 Allens People’s Choice Award Marina Debris from Sydney for her installation ‘Inconvenience Store’ and April Pine from Perth for her sculpture ‘Trip I, Trip II, Trip III’. Debris collected every item in the store from non biodegradable rubbish washed up on Sydney’s beaches. A big lesson to us all, while Pine’s aluminium sculpture depicts three figures meandering their way across the rocks on their journey towards the surf. Each figure independent in their moment whilst paused in motion.